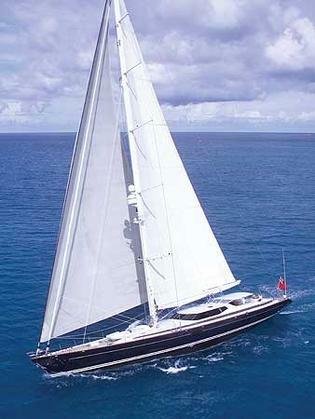 Caroline Walters at Burgess sends me word of a new central agency for sale: the 42.9m sailing yacht Vent D'est, built by Vitters to a Dubois design in 2002. ABS classed and MCA compliant, this pedigree Dutch sloop has a beautiful Redman Whiteley Dixon interior sleeping eight guests in a master, two doubles and a twin and has accommodation for seven crew. Vent D'est is currently en route from Cape Town to the Caribbean and will be available for viewings in Antigua from February 10th before departing for the Mediterranean in early March. Her asking price has been set at €11.75 million.